Clarification of Thought | Dorothy Day Catholic Worker Washington, D.C.
Join us every first Friday for our monthly “Clarification of Thought” speaking events. The Catholic Worker at 80–Viva House at 45! May 1 marks the 80th anniversary of the Catholic Worker. This year also marks the 45th anniversary of Viva House Catholic Worker in Baltimore. Willa Bickham and Brendan Walsh, co-founders of Viva House, knew Dorothy Day and will share stories and art from their experience spanning five decades with the Catholic Worker. Please join us for this important evening of celebration. Who is PFC Bradley Manning? What is his story and his resistance to war, even as a soldier? What do we think about his way of calling us to face our collective truth as a nation? How are we led to support him as he faces prosecution and years in prison for disclosing to Wikileaks embarrassing classified materials about U.S. atrocities in Iraq and Afghanistan? Manning has been imprisoned for more than 1,000 days for his courageous act of conscience. On February 28, he pleaded guilty to 10 of the 22 charges against him, which could carry a sentence of up to 20 years. One charge he did not enter a plea for is the charge of “aiding the enemy,” which could carry a life sentence. Malachy Kilbride is a local DC area peace and social justice activist who, as a teen interested in peace issues, was nurtured and supported by Catholic peace activists, when the Catholic bishops issued their “Peace Pastoral” in the early 1980’s. This was the impetus of his activist life that has led him into the second decade of the 21st century working for peace and opposing the violence of empire. April 15th, Tax Day, is never an easy day for those of us concerned about issues of peace and justice for we are daily confronted by the image of a tax chart where the majority of the pie goes to the military and the poor and hungry are left with the proverbial crumbs. How to respond, how to live with ourselves when we know that our nation spends more on militarism than we do on education, social services, and the list goes on are the questions we will be dealing with when I speak on TAXES FOR PEACE NOT WAR! 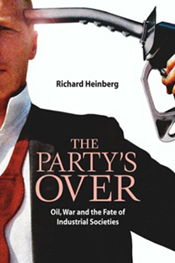 Since 1972, I have been involved with resisting war taxes and trying to respond responsibly and creatively to the militarized society of which we are a part. What do you do for a living? Does one have to live under the taxable level? What options are available? Can we really pray for peace while paying for war? I presently direct the National Campaign for a Peace Tax Fund, in February 2013 I was one of the delegates who attended the 14th International Conference on War Tax Resis­tance and Peace Tax Campaigns in Bogota, Columbia and have been resisting war taxes since the Vietnam War. Wages have been garnished, property levied, refunds appropriated and yet life gets better each year for my wife and me. Each of us has the ability to be a symbol of sanity and resistance to the military madness of this society. Come and celebrate with me the opportunity that Tax Day presents to each of us. Bring your concerns and questions about taxes and tax resistance. 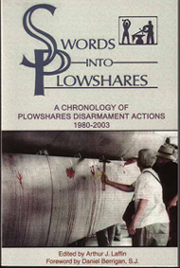 On July 28, 2012, Catholic Workers Mike Walli and Greg Boertje-Obed, and Sr. Megan Rice, entered the Y-12 nuclear weapons complex at Oak Ridge, TN to enact the biblical prophecy of beating swords into plowshares. Calling themselves “Transform Now Plowshares,” they hammered on the cornerstone of the newly built Highly-Enriched Uranium Manufacturing Facility (HEUMF), poured human blood and left four spray painted tags on the recent construction which read: Woe to the empire of blood; The fruit of justice is peace; Work for peace not for war; and Plowshares please Isaiah. They were subsequently arrested, jailed and released on strict pre-trial probation conditions. They have been charged with three felony counts and face up to a 40 year maximum prison sentence if convicted. As a result of their action, authorities took the unprecedented step of closing the Y-12 nuclear weapons complex at Oak Ridge for over two weeks. 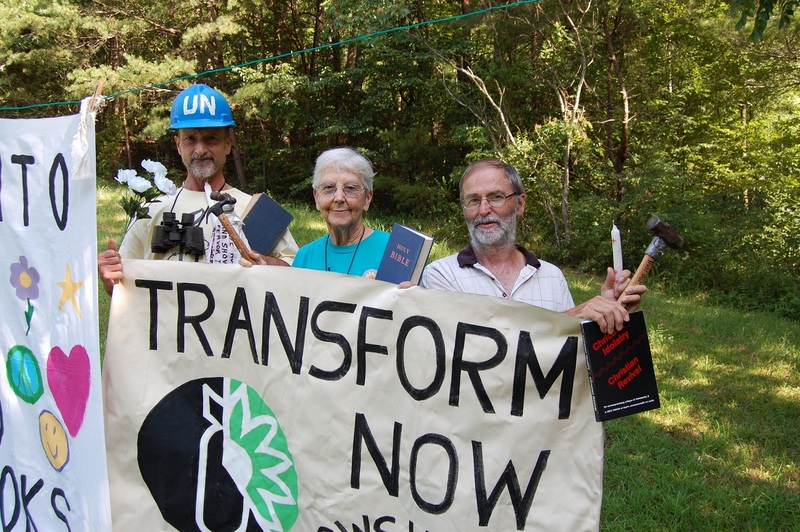 Come and hear about the moral and legal justification for this inspiring plowshares witness, what the defendants face in their upcoming trial on May 7 in U.S. District Court in Knoxville, TN, and what can be done to support them. January 11, 2013 marks the 12th anniversary of the first so called “enemy combatants” arriving at Guantanamo. Darrel Vandeveld, a lawyer with years of service as both a prosecutor, public defender, and officer in the United States Army Reserve, will share about his expreince at Guantanamo and why he resigned in 2008 from the Guantanamo Military Commission. Vandeveld, a Catholic, is notable for asking to resign for ethical reasons from his appointment as a prosecutor before a Guantanamo Military Commission. Following his resignation, he received military backlash in the form of being denied a promotion. Despite receiving many decorations and commendations for his performance, the promotions board passed him up. This occurred after he wrote his 4 page declaration detailing his experience at Guantanamo witnessing severe illegal activity from US military and politicians. He has since retired from the military and practices law in Erie, PA. From January 6-12 there will be a fast and other actions in D.C. sponsored by Witness Against Torture, including a march on January 11 from the Congress to the White House. For more info see: www.witnessagainsttorture.org. Place: Dorothy Day Catholic Worker, 503 Rock Creek Church Rd. NW,Washington, DC, 20010. Bock McIntosh is an Army National Guard veteran who enlisted in May, 2006 while in high school. He was the Distinguished Honor Graduate of his basic training/AIT cycle and continued his development as a soldier with an Afghanistan deployment from November, 2008 to August, 2009. Following his redeployment home, Brock reflected deeply on his experiences which led him to become a strong advocate and leader for non-violent solutions to conflict- frequently speaking on the topic across the country. He is co-founder of Afghanistan Veterans Against the War and chairs the Oversight Committee of Iraq Veterans Against the War. In addition to his advocacy work, Brock has held internships with the Center for International Policy, The Robert F. Kennedy Center for Justice and Human Rights and Win Without War, where he worked primarily on the Veterans’ Trust Fund. He has also received training through the Highlander Folk School, SmartMeme, the Ruckus Society, the Midwest Academy, the Fletcher Summer Institute, Training for Change, and the Center for Nonviolence and Peace Studies, where he is a certified Kingian Nonviolence trainer. 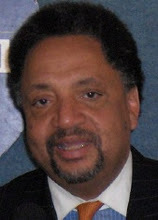 He has studied under Dr. Bernard Lafayette, Rev. James Lawson, and Ivan Marovic. Last fall he joined a delegation to Afghanistan with the Afghan Youth Peace Volunteers. Brock is an applicant for conscientious objection. This event is free and open to the public – Please arrive early – Desserts and coffee will be served at 9 pm. Date: Friday, November 2, 2012 @ 7:30p.m. DID JESUS REALLY REJECT VIOLENCE? Have we confused the teaching of Jesus? Please join us for this important clarification of thought. Date: Friday, Oct 5th, 2012 @ 7:30 p.m. This event is free and open to the public – Please arrive early – Desserts and coffee will be served at 9pm. A Special Pax Christi USA Event Honoring Ruben Garcia, 2012 Teacher of Peace Award Recipient, and Featuring Bishop Kevin Dowling, C.SS.R., Co-President, Pax Christi International, Bishop of the Diocese of Rustenburg, South Africa, and Bishop Tom Gumbleton who will give the keynote. On Friday, September 7, from 6-9pm the Dorothy Day Catholic Worker invites everyone on our mailing list to attend the Pax Christi USA Momentum 2012 gathering. This Pax Christi event is in lieu of the DDCW September Clarification of Thought (COT) program, and we strongly encourage everyone who receives our COT speaker series notice to attend this very important gathering. There will be no COT program at DDCW in September. The Pax Christi event, which is being held at Trinity College, will feature Bishop Kevin Dowling, C.S.S.R., Bishop Thomas Gumbleton,and honor the 2012 Teacher of Peace, Ruben Garcia, Director of Annunciation House, El Paso, Texas. Ruben will talk about the vital work of accompaniment that has been Annunciation House’s mission since 1978: “In a Gospel spirit of service and solidarity, we accompany the migrant, homeless, and economically vulnerable peoples of the border region through hospitality, advocacy, and education. We place ourselves among these poor so as to live our faith and transform our understanding of what constitutes more just relationships between peoples, countries, and economies.” The program will include dinner (with a vegetarian option), prayer, and music. There will be a free shuttle from the Brookland Metro and free parking at Trinity University. While there is a $50 registration fee for this event, there are a limited number of scholarships available and will be provided on a first come, first served basis. Please contact Bob Cooke (CookeR@ppnpf.com) if you need a partial scholarship ($45 or less). Anyone receiving a scholarship will be asked to make a $5.00 donation for the meal. If you can pay the full amount or wish to make a donation for a scholarship for someone else, please register and pay at http://paxchristiusa.org/programs/momentum-2012/ . If you have any questions about the event, please contact Pax Christi USA at 202-635-2741 or event@paxchristiusa.org. When: September 7, 2012 from 6:00 to 9:00 p.m.
Where: Trinity University, 125 Michigan Avenue NE, Washington, D.C.
Meron, from Eritrea, and Judy, from Cameroon, are both torture survivors seeking asylum in the U.S. Demissie Abebe is a torture survivor from Ethiopia and executive director of The Torture Abolition and Survivors Support Coalition International (TASSC). They will share their stories and discuss the important work of TASSC, the only organization founded by and for torture survivors. The mission of TASSC is to end the practice of torture wherever it occurs and to empower survivors, their families and communities wherever they are. On June 23, please join the annual TASSC Survivor vigil from 7:00 a.m. – 7:00 p.m. at Lafayette Park across from the White House. 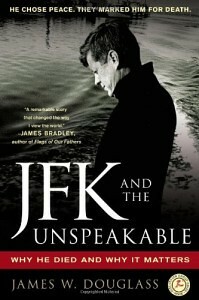 For more info about TASSC Survivor Week, June 19-26, please see: www.tassc.org. 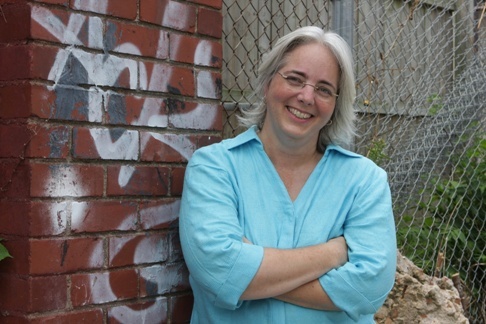 Date: Friday, June 1, 2012 @ 7:30 p.m.
Rose Marie Berger, Associate Editor and Poetry Editor for Sojourners magazine (www.sojo.net), is the author of Who Killed Donte Manning? The Story of an American Neighborhood. Additionally, she writes a regular column on spirituality and justice for Sojourners magazine. Rose was a member and pastor of the Sojourners intentional Christian community in Washington, D.C., for 12 years. She has a veteran history in social justice activism. Most recently she organized religious leaders to demonstrate against the Keystone XL pipeline and was one of more than 1,200 people arrested in front of the White House over a 2 week period against the pipeline because it is a lynchpin in global warming. A Roman Catholic, Rose was raised among the Franciscans and Catholic Workers on the West Coast and continues in that tradition today. She’s a published poet with an MFA in poetry. She lives in the Columbia Heights neighborhood of Washington, D.C., with her flat-coat retriever Solea. Date: Friday, May 4, 2012 @ 7:30 p.m.
Cathy Breen, member of NY City Catholic Worker, has followed the plight of Iraqi refugees in Jordan and Syria since the US-led invasion of Iraq. In Baghdad with Voices in the Wilderness during the “Shock and Awe” bombing campaign, Cathy says, “the war changed my life forever.” Recently returned from Jordan and Syria, Cathy will share stories from the trip. This event will take place during our Holy Week Faith and Resistance Retreat, and we invite you to join us for the duration of the retreat Wed, April 4th – Fri April, 6th. Date: Wednesday, April 4th, 2012 @ 7:30 p.m.
John Judge, a founding member of the National Network Opposed to Militarization of Youth and a board member of the National Coalition to Protect Student Privacy has been taking combat veterans into high schools since the late ’60s. Since 1985 he has organized a presence in DC public and charter schools to counter military recruitment, present a realistic view of military life and combat, and address the special problems veterans, women and people of color face when they join today’s military. He has also worked to change school policies relating to recruiter access, student privacy and other tools like JROTC and ASVAB testing, with some success. The costs of modern warfare are immense, both at home and abroad, and include ethnocide, ecocide and genocide. The coming generations deserve a better legacy than a world of perpetual warfare and the limited job and educational opportunities that result from it. Date: Friday, March 2nd, 2012 @ 7:30 p.m.
Ibrahim Ramey is an international Muslim activist with over 25 years of work in the areas of peacemaking, nuclear disarmament, and human rights. He has held leadership and staff positions at several national and international organizations, including the Fellowship of Reconciliation (1995-2006), and the Muslim American Society Freedom Foundation. Ibrahim also serves as a board member of the Temple of Understanding and the Muslim Women’s Institute, both located in New York City. Date: Friday, Febraury 3, 2012 @ 7:30 p.m.
Jan. 11, 2012 marks the tenth year that the first prisoners in the so-called war on terrror were brought to Guantanamo. In 2005, following a trip to Guantanamo by Catholic Workers and other activists who tried to visit the prisoners, WAT was formed. Since then, WAT has initiated a nonviolent direct action campaign to call for the closing of Guantanamo and Bagram, and for an end to indefinite detention and torture. From January 2-12 there will be a fast and other actions in D.C., including a 2,000 person human chain that will stretch from the White House to the U.S. Capitol on Jan. 11. And on Jan. 3 a jury trial will begin for WAT members who were arrested during a June 23 witness inside the U.S. House Gallery. For more info see: www.witnessagainsttorture.org. Date: Friday, Jan 6, 2012 @ 7:30 p.m.